The Fund aims to provide exposure to a broadly diversified portfolio of global shares, while reducing the volatility of the equity investment returns and defending against losses in declining markets. 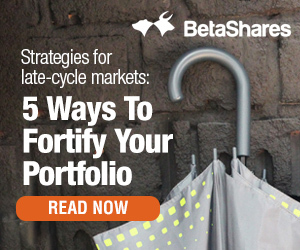 Obtain equity exposure but alleviate concerns about uncertain financial markets. * As of 31 March 2019. Yield figures are calculated by summing the prior 12 month fund per unit distributions divided by the fund closing NAV per unit at quarter-end. Past performance is not an indicator of future performance.